The most awaited Windows Vista Service Pack 2 (SP2) is now officially available. Microsoft has come out with Windows Vista Service Pack 2 along with Windows Server 2008 SP2. Windows Vista Service Pack 2 is available for direct download as a standalone installer at Microsoft download center. It is also available for public download as an ISO image file which can be burnt on CD or DVD for multiple uses. Nowadays, Internet has become a powerful space for downloading and viewing popular videos or audio files. For this, you need to have web browser based software through which you can view multimedia files, run internet applications or stream video and audio files. You may have noticed when you visit some website they ask to install Microsoft Silverlight. If you don’t know about Microsoft Silverlight, then here you will learn why you need Silverlight. Google has released latest chrome version namely Chrome 21. Google Chrome is a popular web browser, the latest version of Chrome is 21.0.1180.57 for Mac and Linux and Chrome 21.0.1180.60 for windows and Chrome Frame which are available for download. Google has released another version of Chrome the latest stable release is 20.0.1132.47. It is little frustrating for Google Chrome user to update their browser every month with another version rerelease. 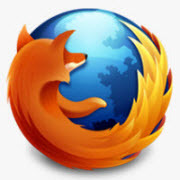 Mozilla has launched the new version of its worldwide popular web browser in the form of Firefox 13. Yes, Firefox 13, the latest web browser from Mozilla is now available for download. Now it’s time to take your online instant messaging experience to a new level. With the coming of Microsoft Windows Live Messenger you can now do some real time video chatting with your friends and avoid the mess of fake people altogether. The new Messenger is free video chat enabled IM software with which you can chat with anybody, anytime and anywhere. Adobe brought another improvement in its quality of products by launching Adobe Flash Player 11 yesterday. Adobe Flash Player 11 came up with many new improvements that will change the type of content you see on the web with the introduction of 3D GPU acceleration. As we have seen some revolutionary changes in its previous versions likewise Flash Player 11 also contains a lot in its bag.